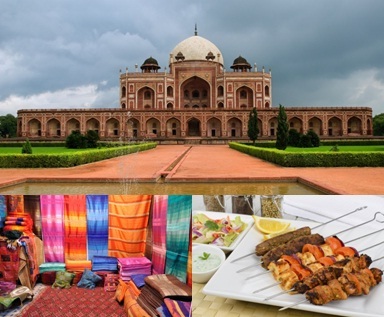 Delhi’s attractions range from forts and monuments dating back a thousand years to modern shopping malls, nightclubs and golf courses, as well as a wide range of cuisines to suit every taste. 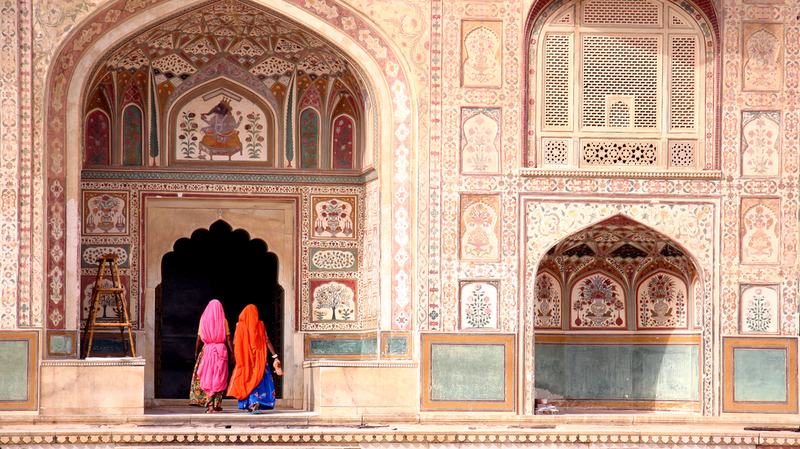 Go sightseeing in Old Delhi. Visit Shajahanabad, the 17th-century city built by the fifth Mughal Emperor, Shah Jahan. Admire the famous and opulent Red Fort (a world heritage site), as well as the Jama Masjid, India’s largest mosque. Take a short rickshaw ride through the colourful bazaars of Chandni Chowk. Stop at Raj Ghat, where Mahatma Gandhi, Father of the Nation, was cremated. Enjoy lunch at the Broadway Hotel restaurant Chor Bizarre, one of the oldest restaurants in Delhi, which features interesting interiors and delectable cuisine. Begin the New Delhi tour with Birla Mandir, a modern colourful Hindu temple. Drive down the spectacular Rajpath, with a photo stop at the India Gate, and glimpses of Rashtrapati Bhavan and Houses of Parliament. Visit the breathtaking Humayun’s Tomb (a world heritage site), considered a model for the Taj Mahal. Take a short walk in the Lodi Gardens – the haven of serenity. Visit Qila Rai Pithora, the first city of Delhi, which includes Qutab Minar (a world heritage site), the tallest minaret (72.5 meters) in India, built as part of a 12th century mosque, the first in India. Observe how the monument appears as the sun sets. Stay on after sunset to see it under hues of light. Proceed for a heritage walk in Hauz Khas Village and its surroundings – a journey through history, cuisine and shopping – from the past to the present. You can also go boating at the Old Fort, and enjoy the sound and light show at the Red Fort. Shopping expeditions in Delhi could take you from the environs of Chandni Chowk, where you can purchase traditional textiles, attars and jewellery, to the more modern and sophisticated ambience of Khan Market and Connaught Place, frequented by expats and members of the diplomatic corps. While the stalls in Dilli Haat and the state emporias on Baba Kharak Singh Marg introduce you to the handloom and handicrafts goods produced in all of India’s numerous states, Delhi’s many malls—Select Citywalk, DLF Mall, MGF Metropolitan and Ansal Plaza—showcase Indian and internationally famous brands. Karol Bagh caters to the wedding planners and hardened shopaholics, whereas Hauz Khas Village, where you glimpse the remains of Khilji and Tughlaq-era madrassas, mosques and a tank, introduces you to India’s artists and fashion designers, through its art galleries and boutiques. South Extension can be a motorist’s nightmare over the weekends—it is not only a popular shopping complex, but also includes residences and offices. Janpath is a popular destination for young people, with its reasonably priced clothes and artefacts. Eating—Delhi’s cuisine, like its monuments, provides a vivid glimpse into its history. The kababs, biryanis and curries served at Karim’s, located in Jama Masjid and Nizamuddin Basti, are the same that were eaten by Mughal emperors. Moti Mahal, in Darya Ganj, serves tandoori food and curries popular in the north-west and Punjab, which became popular in Delhi after independence and partition. Sagar Ratna, in Ashoka Hotel and Defence Colony, provides South Indian snacks—idlis, dosas, vadas and sambars—that Dilliwalas have grown to enjoy. Swagath, also associated with Sagar and located in Defence Colony, includes non-vegetarian food from South India, from the coastal regions. If you’re shopping in Hauz Khas, stop off at Raas to enjoy a kabab meal or go to Gunpowder to relish home-style South Indian cooking whipped up by Satish Warier and Kiran Bhushi. Spice Route at the Imperial takes our taste buds to South-East Asia, whereas China Garden takes us across the northern border. Cafe Diva, in Greater Kailash, and Chez Nini in Jorbagh, are famous for their authentic Continental cuisine—Italian and French. Last but not least—Maurya Sheraton’s Bukhara is justly famed for its scrumptious kababs and kali daal—just ask ex-President Bill Clinton. The more adventurous would doubtless enjoy Delhi street food, served at Nathu’s in Bengali Market.